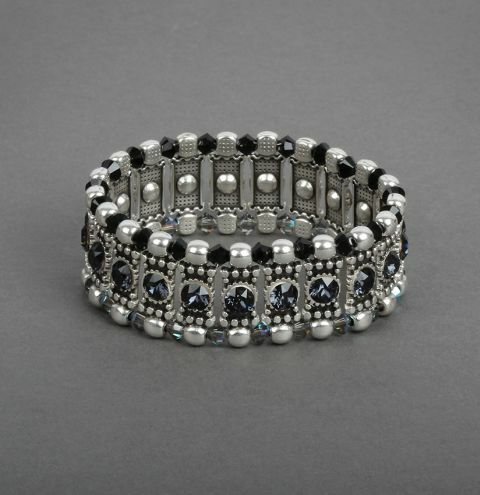 Make a sparkly monochrome statement bracelet with Swarovski crystals. Cut two strands of elastic cord approx. 12 inches in length. String on a gold connector bead onto both strands. Follow this with a pair of metal spacer beads and repeat until you have reached your desired length. Glue the crystals into the settings and allow to dry.